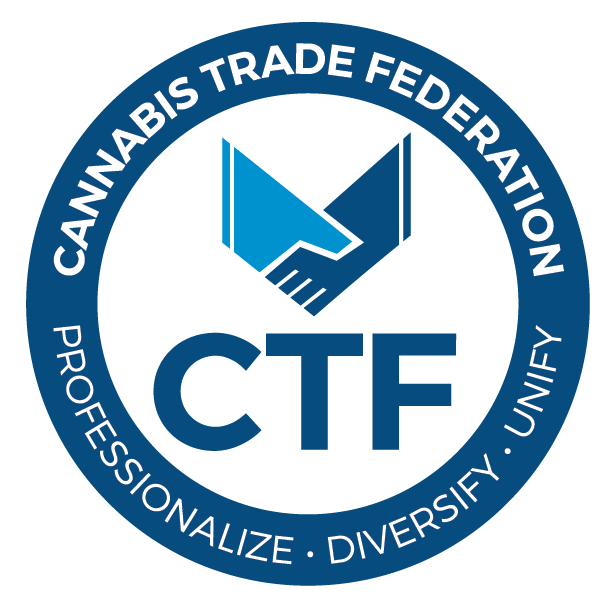 CBE also posted a press release issued by the New Federalism Fund (NFF) and the American Trade Association for Cannabis & Hemp (ATACH) announcing that they had agreed to form a new industry effort (hint, hint trade association) aimed at and I quote, “dedicated to pooling resources and working collaboratively with industry partners to grow a national trade association effort that represents all segments of the industry.” CBE believes its time to support a new approach and to put your money will it will be most effective. In January and February, CBE broke the news about the internal issues at the National Cannabis Industry Association (NCIA) and specifically its leadership issues with Aaron Smith at the helm. We have published three pieces chronicling the complaints made about him and the organization by former board member Kayvan Khalatbari, “Why did Khalatbari Really Resign from the NCIA board? ), dismissed Chief of Staff Genifer Murray, “Why was Genifer Murray Fired from her Chief of Staff Position at NCIA?”, and by several state or special interest group associations (Texas Cannabis Industry Association, the folded Nevada Cannabis Industry Association, and the Minority Cannabis Business Association), “What happened between the NCIA and the Minority Cannabis Business Association?”. Complaints have ranged from the NCIA’s lack of focus on the important federal issues impeding the industry’s growth, NCIA’s and Smith’s self acknowledged brow beating of state associations, unlimited terms and cronyism on the board, financial and personnel mismanagement and so on. Smith also was cited by several board members of having a personal vendetta, first against resigned board member Neal Levine, Chairman of NFF and Sr. Vice President of Government Affairs at one of the industry’s largest revenue generating operators, LivWell Enlightened Health) and he also initiated an unreported attempted ouster of NCIA board member Glenn Peterson, owner of Canuvo of Maine. After Smith & NCIA claimed that Peterson violated NCIA’s NDA for allegedly forwarding an e-mail to ex-NCIA lobbyist Andrew Shore (whose contract ended in September) that Smith had sent to the board criticizing Shore, Smith convened a specially called board meeting in November and attempted to oust Peterson (they didn’t have the votes to do so). When Peterson was notified of the charges, he reportedly requested a variety of information seeking documentation from the board. It is CBE’s understanding that Smith and the board has ignored Peterson’s requests and that Smith pushed for the board to censor him for the alleged NDA violation. A letter censoring Peterson was sent in to him in early February, Peterson tells CBE he refused to sign the letter of censorship due to issues he had with it and since he felt Smith was not sticking to an earlier agreement. According to Peterson, he let Smith know of his intent to resign but Smith asked Peterson to finish his term, telling him that it would only further muddy the waters surrounding issues that NCIA was dealing with. Peterson’s term is basically over (shortly) and he is not running for re-election to the board. We then see a cover story in Marijuana Business Magazine (MBM), “At a Crossroads”, which I believe would have more appropriately been titled, “Smith’s Act of Contrition”. In the article, Smith acknowledges his missteps, including charges by industry vets that NCIA has lost its focus, specifically as a lobbying organization in DC., while at the same time dismissing many of the charges, including claims from fired board member, NCIA co-founder and treasurer for the last several years, Rob Kampia. In the article, Kampia states that Smith has run NCIA as a dictatorship and publicly called NCIA “a broken organization”. Let’s not under-estimate this split, Smith cut his teeth under Kampia’s tutelage at Marijuana Policy Project (MPP) earlier in his career before he was let go by Kampia after industry advocate and leading MPP benefactor Peter Lewis pulled the financial plug years ago. The MBM story fails to mention that Kampia was a co-founder of NCIA as well. New NCIA Treasurer, board member Kris Krane, also cut his teeth at advocacy organizations like Students for Sensible Drug Policy (SSDP) and NORML before moving to the business side of the industry as a founder at 4Front Ventures. Krane also spent a little over a year with board member Steve DeAngelo at Cannbe from 2009-2011. The folks who MBM quoted as supportive of Smith were hardly large licensee industry players and, many licensee leaders that CBE has talked with have left the organization primarily because they didn’t feel that they were getting a bang for their buck in D.C, the vary reason NCIA exists. As CBE reported when we released Khalatbari’s resignation letter and Murray’s published letter to the board following her ouster, there was little new follow-up to some of the specific issues they cited and no effort to attribute CBE’s work. CBE reached out to MBM and offered to share information, no one at MBM has contacted CBE to date to take us up on our offer. MBM also failed to address or mention all of the competing organization developments that have occurred over the last year, they opted to not take a close look and review the bylaws of NCIA which have, in CBE’s opinion, created a lot of the issues plaguing the organization in the first place including the current board structure, which does little to include the industry’s primary stakeholders, licensees from all legal states. Giving credit where it is due, as the head of the industry’s largest trade association, Smith has overseen NCIA’s growth that has coincided with the fastest growing industry in the U.S. if not the world. However, he has struggled and acknowledged that his missteps have contributed to NCIA’s inability to deliver on the promise to serve the industry’s primary needs. Not surprising, considering Smith’s lack of business and trade association or federal lobbying experience (he’s been playing catch-up since day one with on the job training), is the fact that NCIA has little success to show for in DC to date, and his limited experience only earned him $32,000 in 2011 according to 990 filings. Smith’s compensation has grown to $116, 833 as of the 2015 filing). It’s easy to understand why these missteps have occurred and CBE believes they will continue to occur with Smith at the helm. Conflicts of interest have been one of the areas of concern at NCIA. Both DeAngelo and Troy Dayton are principles at ArcView (Dayton is another individual with roots in the advocacy movement after leading roles at SSDP and MPP) and are current NCIA board members, but sit on the board together with Henry Wykowski, DeAngelo’s long-time lawyer and advocate acting as the organization’s legal counsel (Wykowski was an NCIA board member before DeAngelo joined the board). Denver Relief Consulting, up until Khalatbari’s resignation, basically had two seats as well with Ean Seeb still serving even though his partner resigned. Many of the board members have served as such for 5 years or more and the election/selection process and financial requirements have been questioned by many. Bylaws could have been adjusted to include term limits and a more inclusive and diverse board of state licensees. This past Friday, an NCIA press release announced the hiring of Steve Fox, a principle at VS Strategies and co-founder of NCIA, as part of their plans to invest more in their DC lobbying efforts. Steve is a pro and is well-known for his industry efforts and work, he co-authored the tactic of regulating cannabis like alcohol during Colorado’s successful adult-use efforts along with Mason Tvert when he was with the Marijuana Policy Project (MPP). Fox’s hiring is a clear move to shore up NCIA’s mission statement and DC lobbying efforts and although Fox is extremely capable, it appears to be another example of the incestuous make-up of NCIA’s board and the limited talent pool it chooses to call on. In the NCIA press release, NCIA claims to be “the largest cannabis trade association in the U.S. and the only one representing cannabis businesses at the national level. NCIA promotes the growth of a responsible and legitimate cannabis industry and works toward a favorable social, economic, and legal environment for that industry in the United States.” CBE believes this is inaccurate in light of the NFF/ATACH announcement and the announcement 3 months ago of the formation of the Western Regional Cannabis Business Association (WRCBA) which also lobbies in DC on behalf of the industry and its constituents. ATACH is also aligned with WRCBA. A third group, The Cannabis Alliance, also has indicated that it has plans to lobby in DC. And, obviously, NORML, Drug Policy Alliance, and American’s for Safe Access (ASA) and MPP have been lobbying in DC for years. I guess if Trump can get away with issuing false news, anyone can. Smith, at NCIA’s recent quarterly caucus in Colorado, was reportedly taking credit for the Gardner-Trump deal even though it is clear that NFF has spent heavily lobbying Gardner and other congressional members to remove IRS 280E (Gardner attempted to add language to Trump’s tax reform bill this past fall), provide banking access, to reaffirm and protect states rights and the 1oth amendment to the US Constitution as well as Schumer’s recent bill to decriminalize marijuana. He and Senator Elizabeth Warren are working on a bill as we publish as well. Many, including CBE, thinks mush of the credit for Gardner industry support lies squarely with NFF. CBE did publish the Fox hiring by posting an edited version of Friday’s NCIA press release removing “the only one representing cannabis businesses at the national level” to more accurately portray NCIA’s press release footer copy. There are 8 incumbents up for re-election, each has served at least 4 years on the board with 6 serving since 2011. At the end of the day, Smith has had his chance to get things done and his efforts in many ways, have led to new, well-financed and professionally run organization’s with support from senior business people and industry experience that are also drawing from years of experience in the private sector to help push the end of cannabis prohibition and to remove DC based impediments holding the industry back. It’s time to either inject new leadership at NCIA or to move on and put your money where return on investment is substantial instead of behind inexperienced leadership lacking multi-state licensee experience and an organization that has failed to live up to its promise. CBE believes that actions and not an “Act of Contrition” are the way forward.